Antibacterial Doxycycline Monohydrate 100mg capsules. 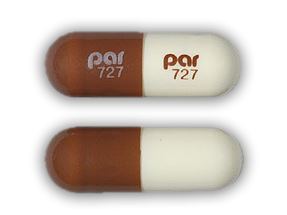 Capsules are white and brown with par 727 printed on them. 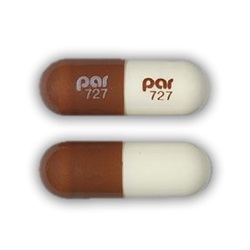 Manufactured by Par Pharmaceuticals. NDC Number: 49884-0727-03. Comes 50 per bottle.